The joys of childhood are as fleeting as they are precious. Preserve these priceless memories in a baby photos album for your baby boy or baby girl. 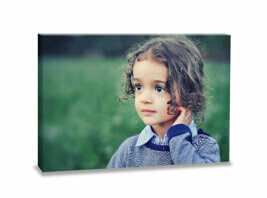 Begin by selecting all the best pictures of your little one that you want to showcase. Choose a size and template of your choice. Then upload the pictures in our design tool and customize the album to make it unique for your baby. Add backgrounds, text and cliparts to make your album special. Printed on Lustre Silk Paper. 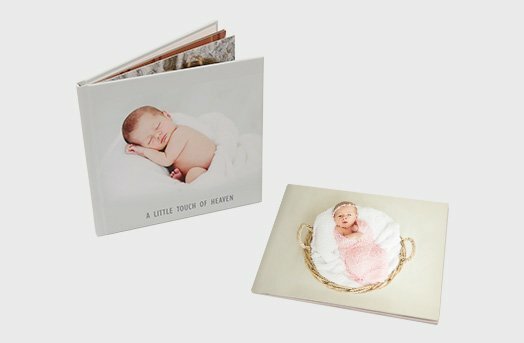 Our hardcover and softcover baby photobooks are printed on high quality Lustre Silk paper with a smooth, semi-matte finish that provides excellent print reproduction and makes all your beautiful, intricate photos come to life. Your photobook is hand-bound with all our precision, care and expertise to ensure that your memories are well-preserved for years to come. It’s now easy to share your photobook with people across from Singapore to Mumbai! 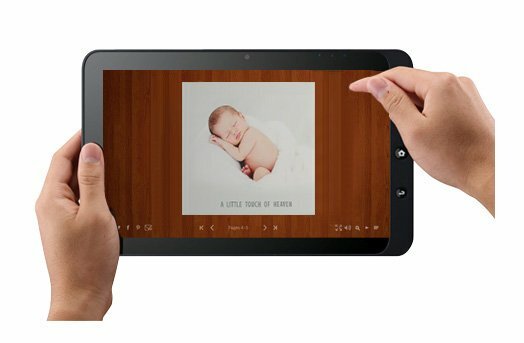 With every baby photobooks you order online on Photojaanic, you get a free digital copy. This album can be shared with friends and family via email and other social media channels. You can take their opinion and let them order a copy too! Our free online album design tool makes it easy to create your own customized baby book. Make a baby memory album of all the important milestones of your baby, a first year baby photo album or a family photo album with photos of you and your children. Our 20+ free exclusive design templates for baby boy, baby girl, newborn photos will make the album design process super easy and fun for you. You can also make a maternity photo album for your friend or spouse or a yearbook for your school-going child. Not just newborns, these photobooks are great for children of all ages. Tip: You can involve your children in the album making process and design a book with them. It can be a great weekend activity for the entire family. Make multiple copies to gift to grandparents, aunts, uncles and keep one for yourself. Read more about how to make a baby photo book on our blog here.